Only one more day until the tower block is condemned. Join the last remaining residents for this block’s last party. Watch as they rave their way into a new and uncertain age. Come party to the end of their world! Spoken word meets rave meets the housing crisis. 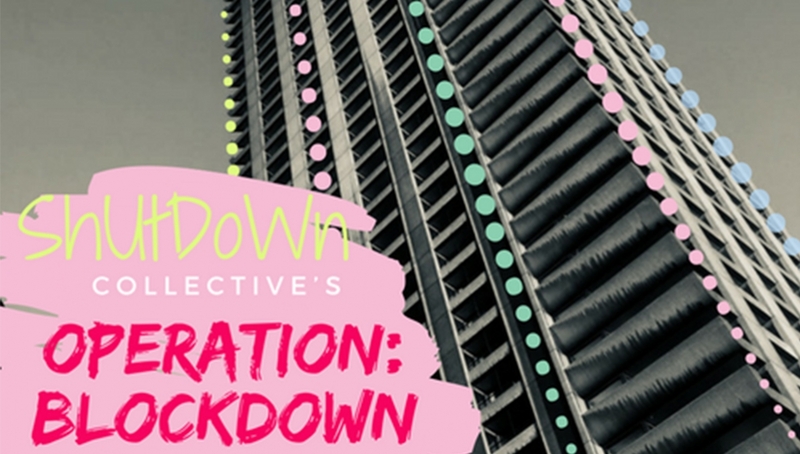 This production comes to you from SHUT DOWN COLLECTIVE. A collective comprised of creative, working-class women who use spoken word poetry to address issues affecting the lives of working-class youth today.